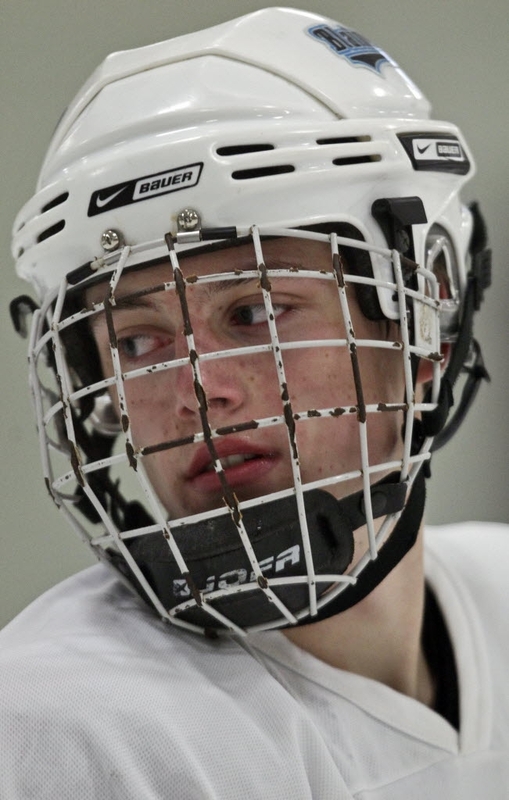 Jonny Brodzinski’s senior hockey season already feels wonderfully different, and his Blaine Bengals do not play their first game until Friday. Known for shooting the puck with velocity and accuracy seldom seen at the high school level, Brodzinski has reached a new level by shedding the dreaded underachiever label. The challenge this season is clear. Blaine and Hill-Murray are the state’s only two teams, regardless of class, to play in all five previous state tournaments. Expectations remain high, even though a strong senior class and Mr. Hockey winner Nick Bjugstad have moved on. Brodzinski’s career needed a boost two years ago. As a kid, he would tag along to practices where his father coached his younger brothers. He set up pucks on the opposite end of the ice and practiced picking corners. “I try to rip the puck through the net every time I shoot,” Brodzinski said. But by the time Brodzinski reached Blaine, the term heavy applied to more than just his shot. Brodzinski took his passion for hockey and applied it to his training and conditioning. He spent more time with Chris Carroll, a trainer who works with Blaine, and made better nutritional decisions. The payoff came last season. Brodzinski skated as a right wing on Bjugstad’s line and finished third on the team with 53 points (24 goals and 29 assists). More work remained. Wanting to get faster on his skates, Brodzinski tweaked the mechanics of his stride since last season. 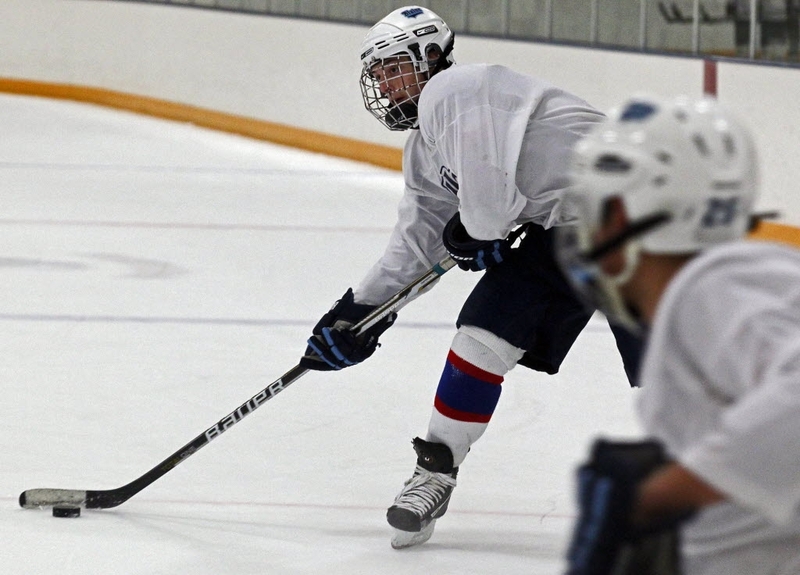 He also skated in the Fall Elite League and led Minnesota White to the NIT playoff title by tying for the team lead with five points in three games. Now back at his natural position of center, Brodzinski measures 5-11 and 190 pounds — the same weight he was as a sophomore, only now it’s muscle. And of course, he still has that bomb of a shot. Brodzinski took his game to a new level. Now he hopes to keep Blaine’s state plans intact.